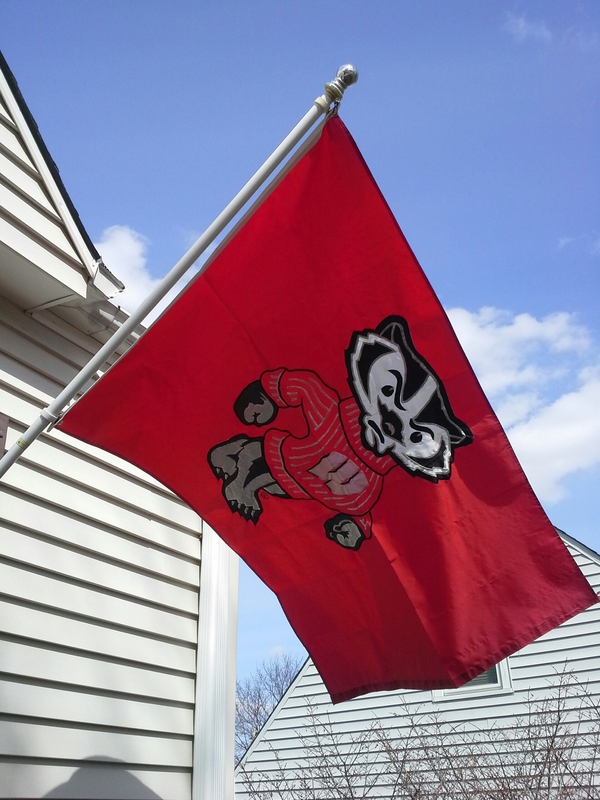 Our Bucky Badger Flag is waving away! After our Wisconsin Badgers pulled out a massive upset over Xavier last night, my hubs made sure to display our Wisconsin flag with pride. Beautiful win. Beautiful day today. It’s March Madness, baby!! I am proud to be a Badger and to root for this talented, young team with so much heart.